The trademark of Ferrari – Prancing Horse is one of the worlds most recognized symbols. 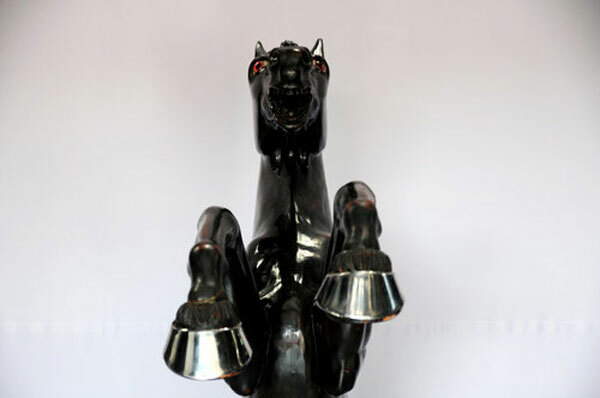 Now, Enzo Ferrari’s legendary “Cavallino Rampante” or Prancing Horse engrave, the only original one in entity, will be offered at the 12th Annual Sports and Muscle in Monterey auction held by Russo and Steele Collector Automobile Auctions on 16-18 August, 2012. World’s renowned symbol dated back to 1923 and has an interesting history behind itself. Ferrari’s founder Enzo Ferrari won a race in Ravenna and was introduced to Countess Paolina, who suggested to him to use the red painted horse on his cars for luck. That horse was painted on the side of plane of her son Count Francesco Baracca, ace of the Italian air force and a national hero. Since 1929, Ferrari’s Prancing Horse or “Cavallino Rampante” has been used on official company letterhead, and since the Spa 24 Hours in 1932, the prancing stallion has been uses on Alfa Romeos raced Scuderia Ferrari. Ferrari has chose a black color for the filly and added canary gold-colored background as that was the tint of the city of Modena his birthplace. 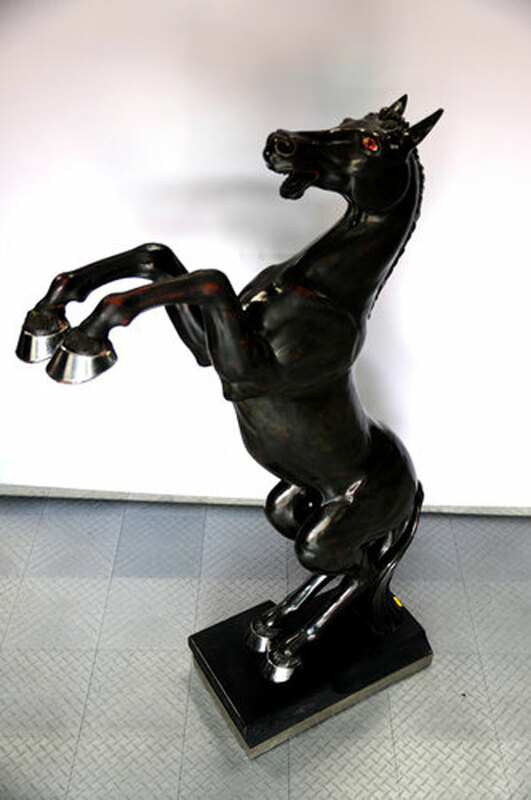 When it comes to sculpture, it dated back in late 1960’s, when a large wooden engrave of the Ferrari’s trademark Prancing Horse was presented to Enzo Ferrari, and he used it as decoration for his office, at Ferrari’s historic Fiorano province. The black Prancing Horse has been seen in many photographs and in one exclusive video of Enzo Ferrari’s conference along with his son Piero. 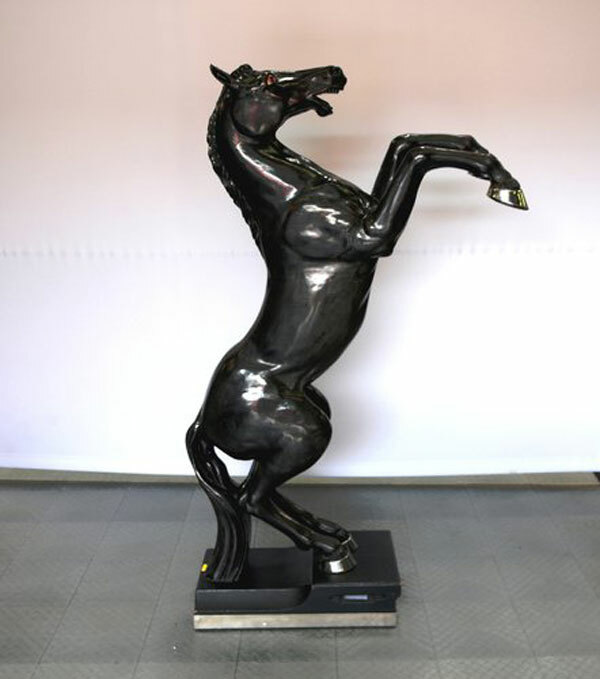 Before Enzo Ferrari’s death in 1988 the Prancing Horse sculpture was gifted by him to Jacques Swaters (a well-known Belgian race driver and owner of primeval Ferrari dealership), one of his few close personal friends. 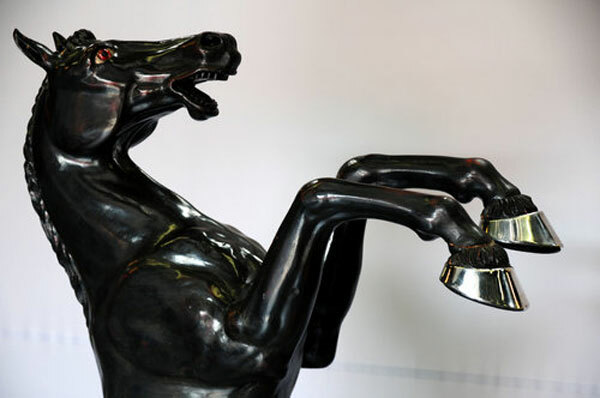 Enzo Ferrari’s Prancing Horse engrave is the only original one in entity. At one point, it was thought that two examples were in existence, but was later confirmed by Jacques Swaters and Mr. Franco Gozzi, Enzo Ferrari’s personal secretary, that there was only one.